Emerald Waterways offers eight different Douro River cruise packages that range in length from 8 to 21 days. The river cruise in Portugal is round trip from Porto and is included in all of Emerald’s Douro River itineraries. A few of the packages also feature a cruise on the Saône and Rhône rivers in France between Lyon and Arles. Depending on the itinerary, a visit to Lisbon, Madrid, Nice or Marseille might also be included. 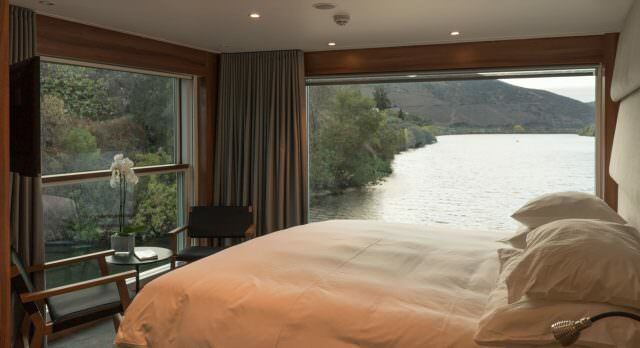 Let’s take a look at the base or central river cruise package, which is the Secrets of the Douro. And then we’ll take a look at the variations of it that are available. The Secrets of the Douro is an 8-day cruise that is round trip from Porto. You’ll travel eastward to Vega de Terrón before returning to Porto. The itinerary includes a trip to the Old City of Salamanca, a UNESCO World Heritage Site as well as visits to cities in the Alto Douro Wine Region, such as Régua, Pocinho, Guimarães and Lamego. On the first day, you’ll board the Emerald Radiance in Porto. One of Emerald Waterways’ newest ships, the Emerald Radiance carries up to 112 guests. Staterooms are between 160 square feet and 300 square feet. The ship remains docked in Porto overnight. You’ll cruise from Porto to Pinhão on day two. This city is about 78 miles east of Porto. After your arrival in Pinhão, you’ll have the option of attending either a cooking demonstration (EmeraldPLUS) or a yoga lesson (EmeraldACTIVE). Both activities take place onboard the ship. On day three, you can choose to take a guided walk through the vineyards (EmeraldACTIVE), or you can take a guided tour of the city of Lamego (EmeraldPLUS). If you choose the latter, you’ll visit Our Lady of Remedies Sanctuary first and then you’ll return to the ship to participate in a cocktail lesson onboard the Emerald Radiance. In the afternoon, you’ll enjoy a scenic cruise to Vega de Terrón. The fourth day of the cruise, you’ll travel by motorcoach from Vega de Terrón to Salamanca for a guided tour of the city. After the tour, you’ll have the opportunity to explore the city on your own before returning to the ship. Day five of the cruise is spent in Pocinho. There are two shore excursions available. You can take a guided canoe ride, which is followed by a yoga lesson onboard if you choose the EmeraldACTIVE excursion. Or you can visit the Coa Valley Museum – a museum of art and archaeology for the Coa Valley region of Portugal. In the afternoon, the Emerald Radiance will depart for Régua. The sixth day features a guided tour of Régua and a visit to the Douro Museum – a museum about the culture and history of the Douro wine region. Later in the day, you can choose between taking a mosaic tile painting lesson (EmeraldPLUS) or a yogo lesson (EmeraldACTIVE). Both activities are onboard the ship. You’ll spend day seven in Porto where you’ll enjoy a guided walking tour of the city and have the opportunity to sample local wines. Your trip will conclude in Porto on day eight. You’ll disembark after breakfast and be transferred to the airport. Cruises are available between April and November. Starting prices for the Secrets of the Douro river cruise are between $2,545 to $3,645 per person. Port charges are included in the fare. In this section, we’re going to first look at other packages that include the Secrets of the Douro river cruise and a visit to Lisbon, Madrid or both. 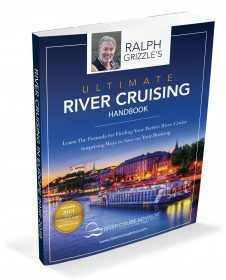 Then we’ll look at packages that combine two separate river cruises. This is an 11-day itinerary that features three nights in Lisbon prior to the 8-day river cruise. You’ll take a guided tour of Lisbon and have some time to explore the city on your own. On day four, you’ll be transported by motorcoach from Lisbon to Porto. On your way to Porto, you’ll stop for a visit in the city of Nazare. Packages are available between April and October. Pricing begins at $3,525 to $4,625 per person. This 10-day itinerary begins with the river cruise and is followed by a two-night stay in Madrid. After your river cruise, you’ll be transported to the airport for your flight to Madrid. The first night, you’ll check into your hotel. On the second day in Madrid, you’ll enjoy a guided tour of the city followed by time to explore the city independently. The trip concludes on day 10. After breakfast, you’ll be transferred to the airport for your return flight home. Packages are available in July and September only, so they tend to sell out quickly. Pricing begins at $4,015 per person. This package combines a visit to both Madrid and Lisbon with the Douro River cruise. The experiences and timetables are the same as they are in the previously mentioned packages. The trip begins in Madrid with a two-night stay followed by the Secrets of the Douro river cruise. After disembarking, you’ll be transported to Lisbon where you’ll spend the remainder of your trip. Packages are available in July and August. Pricing begins at $4,510 to $5,010 per person. Now we’re going to take a look at packages that combine the Secrets of the Douro with another river cruise on the Saône and Rhône in France. This 15-day trip is from Marseille to Porto. Although, Marseille is listed in the itinerary, you won’t spend time visiting Marseille. You’ll fly into Marseille and be transferred to Arles for embarkation. Arles is about 56 miles northwest of Marseille. The journey begins on the Rhône River in Arles. You’ll enjoy an 8-day cruise from Arles to Lyon. Then you’ll fly to Porto for your Douro River cruise. Packages are available in April only; however, 2018 packages are sold out. Similar to the previous package in terms of experiences and timetables for each cruise, this also features a 15-day itinerary. However, it begins on the Douro River in Portugal rather than in France. The Douro River cruise is followed by a cruise on the Saône and Rhône rivers in France. Although, Nice is listed in the itinerary, it’s not a city you’ll visit as part of the package. After your river cruise from Lyon to Arles, you’ll disembark and be transported to the airport in Nice for your return flight home. Nice is about 154 miles east of Arles. Packages are available in June, July and September; however, they’re sold out for 2018. 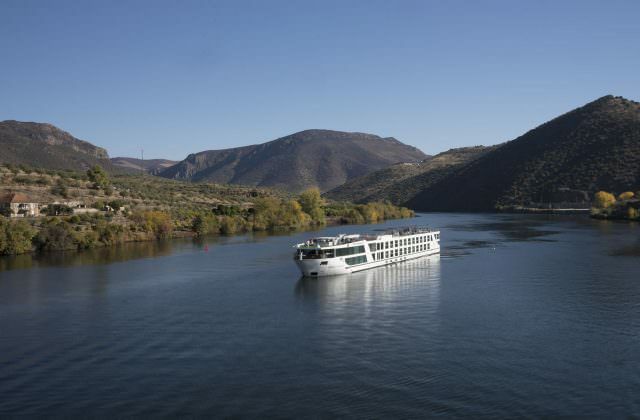 This is the same package as the one listed above – Douro & Southern France River Cruises. It’s just a reverse itinerary. So it begins in Arles on the Rhône River and is followed by a cruise on the Douro River. Cruises are available in April, May, June and September. For the 2018 season, there are a few packages in June that are still available. Pricing for the packages still available in 2018 begins at $9,090 per person. This 21-day package is from Lisbon to Nice. Similarly to the Lisbon & Secrets of the Douro itinerary, you’ll spend three nights in Lisbon before your Douro River cruise. After disembarking in Porto on day 11, you’ll fly to Lyon for your second river cruise on the Saône and Rhône rivers. On day 18, you’ll disembark in Arles and be transported to Nice where you’ll spend three nights in Nice. You’ll enjoy a guided tour of the city as well as a trip to Monaco. You’ll also have the opportunity to explore the city and its surrounding areas on your own. The trip concludes on day 21. You’ll be transported to the airport in Nice for your return flight home. Packages are available in May, July and September; however, all 2018 packages are sold out. So which package is the best option? It depends on whether or not you want to visit other cities in addition to your Douro River cruise. If you want to just take a cruise on the Douro River, then the Secrets of the Douro is the best choice. If you want to spend additional time in Portugual visiting the city of Lisbon, then you have a few choices. Only one features a trip to Lisbon only – Lisbon & Secrets of the Douro. Another option combines a trip to Lisbon with a visit to Madrid – the Madrid to Lisbon & Secrets of the Douro. And the other option combines Lisbon with a second river cruise in France as well as a three day visit to Nice – Lisbon to Nice, Douro & Southern France River Cruise. If you want to visit Madrid only in addition to a Douro River cruise, then the Secrets of the Douro & Madrid is the best choice. 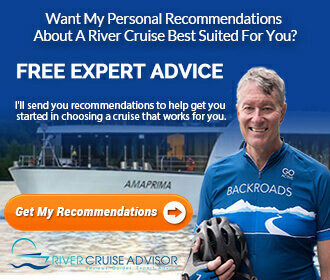 And if taking two two river cruises appeals to you, there are four options. If you want to begin your trip in France, then either the 15-day Southern France & Douro River Cruises or the Southern France & Douro River Cruises package are great options. If you would rather begin your trip in Portugal followed by a river cruise in France, you can take either the 15-day Douro & Southern France River Cruises or the 21-day Lisbon to Nice, Douro & Southern France River Cruise.